People who work professionally or personally in the nonprofit realm, supporters, and volunteers. Don’t miss an opportunity to get your business or organization in front of nonprofit professionals during this conference. We are offering different sponsorship options so you can pick one that’s right for your needs. Everywhere you look you’ll find driven, talented people working professionally or personally in the nonprofit realm. This conference was created with those driven humans in mind and if you’re one of them, you should check out what the day has to offer. Not only do we hope you learn some new things that might help your organization reach higher levels, but also that you can connect with others and strengthen your network. You never know what problems you can solve together! You can attend whichever sessions you want during the day. Welcome & Opening Session | 9:00-10:00 a.m. Morning Sessions | 10:15–11:30 a.m.
Networking Lunch | 11:30 a.m.–12:00 p.m. Afternoon Session #1 | 12:15–1:30 p.m. Afternoon Session #2 | 1:45–3:00 p.m.
Last Sessions | 3:15–4:30 p.m. Morning Sessions | 10:15–11:45 a.m.
Ch-ch-ch-ch-changes! Turn and face the strange . . . ah, yes, David Bowie sang it best. Change is a constant and the rate of change grows faster and faster in today's nonprofit sector. In the past, we could implement change over time, taking it step by step, slowly and methodically. However, with government contracts declining and major (foundation and corporate) contributors changing their giving patterns, programs are being forced to adapt and show results in a very unpredictable economic landscape. Change management is a structured approach to transitioning individuals, teams, and organizations from a current state to a desired future state. It is an organizational process aimed at empowering employees to accept and embrace changes in their current business environment. What does successful change look like and what drives change? In this interactive session, we’ll discuss innovative ways to create a new culture that embraces the challenges of change. We’ll share strategies leaders can utilize to lay the ground work and get their teams “on board” to prepare for change. We’ll learn about the 8 Steps to Creating Change in our programs and organizations. During table-top exercises, participants will discuss their roles in facilitating and maintaining change. How well our organization adapts to change is a key factor in our ongoing success. Leaders at all levels and with varying degrees of experience will benefit from this session with innovative tools they can take back and share with their teams. The Theory of Everything—Everything You Always Wanted to Know About Theories of Change but Were Afraid to Ask! Learn how to design program evaluation that drives innovation and collaboration within your organization. We’ll share hands-on exercises to help you apply what you learn to your own organization. Google Analytics is one of the most powerful marketing analytics tools available - and it is free! With this invaluable tool you can transform your marketing decisions and glean insights from the vast amount of data available. This is a great course to learn the basics of Google Analytics and provide you with the skills to make quality, data-based marketing decisions. As more and more nonprofits look for realignment opportunities, it’s important to understand the critical factors that position an organization for a successful outcome. We’ll discuss the dynamics of pursuing a merger/acquisition, mistakes to avoid, and the five (5) key factors that indicate an organization is ready for a realignment. In addition, we’ll describe the realignment spectrum which includes: collaboration, administrative consolidation, joint programming, programming transfer, parent subsidiary, joint venture, and merger/acquisition. Innovation is about using existing resources to develop new ideas, novel insights, exciting products, and more. Leadership for Diversity and Inclusion is needed now more that ever to harness our collective potential and to develop new ways of seeing things as we partner with the people we serve to create better outcomes. A barrier to Leadership for Diversity and Inclusion is implicit bias. Did you know that the brain takes in 11 million bits of information per second, but is only able to fully process 40 bits? The information we filter affects how and why we make the decisions we do. Learn more about the impact of implicit bias has on our decision-making as Diversity and Inclusion leaders and how we can actively shift our attitudes, behaviors, and actions to ensure that we are engaging with others from a place of greater awareness and creating more spaces for innovation to occur. Your donors receive hundreds of solicitations each year. How can you make sure your message cuts through all the noise? In this fun and engaging session we'll cover some of the new and innovative ways you can reach your donors. We'll feature three steps you can take to stand out, connect with your supporters, and ensure an increased response. You will walk away with actions you can implement right now back at the office to make your solicitation letters, annual reports, website copy, and other donor communications your most effective yet. It’s no secret that finding and keeping good employees is tough these days, especially for non-profits. For many employers, it is now impacting their ability to provide services, let alone expand. With demographics working against us, and ‘poaching’ at an all-time high, now is the time to seriously review your strategies to engage and retain the talent you already have. In this session we will discuss some innovative retention strategies (stay interviews, career pathing, non-cash benefits, paid time off/scheduling strategies, succession, etc.) to ‘close the back door’ and help keep the good people you want. The organizations that embrace this challenge as an opportunity instead of a problem will benefit from the insight and the effort. You’ll walk away with the insight needed to execute a successful website redesign project for your nonprofit organization and improve the experience for your website visitors. The world of non-profit management is changing. Demand is high for qualified, dedicated staff members to continue to advance the missions of our organizations. 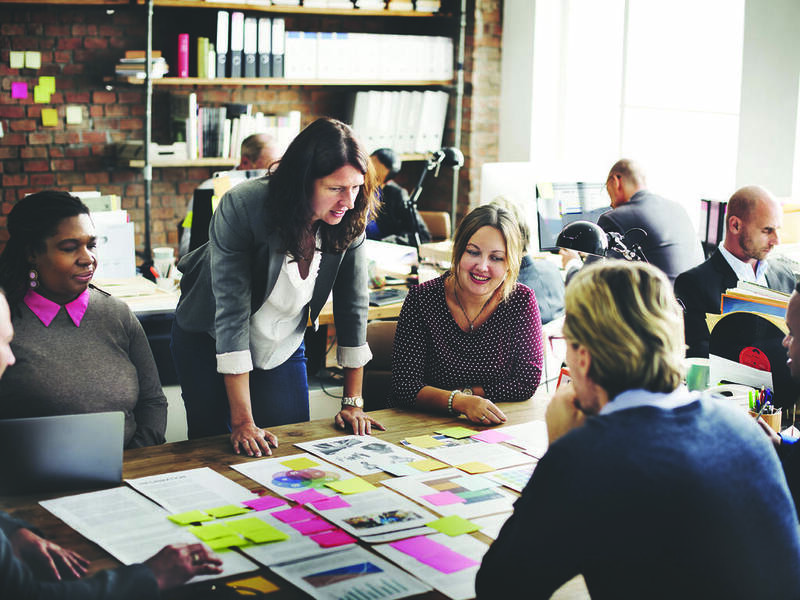 The new workforce is a highly talented and diverse group that is ready to embrace the world; however many non-profits are not ready for the change. What will it take to successful bridge the generational gap that exists in our organizations? How will seasoned leaders let go of their old ways and learn to encourage their employees? How will the new workforce learn to provide the same quality of service that the non-profit sector demands? This session will tackle such areas as communication barriers, job expectations, new ways of thinking, and interactive discussions on real challenges we face in this sector due to generational gaps. Learn the six key questions to ask when planning social media content and practice how to use a simple Google Drive document to plan website, email, and social media content in a time-efficient manner. Gain a knowledge of how to write content once and adapt it for website, email, and social media. Gain an understanding of what evergreen content is and how it can save you time. - Get hands-on experience using Canva to create professional looking graphics to support your marketing. We all want to see increased donations. Your mission is compelling, you’ve hired (or are) a development staff person able to ask for gifts, and your board has donor connections. If the pieces are there, why haven’t they come together to build a successful transformational or major gift program? In this session we will discuss clear strategies to creating a culture of philanthropy and securing major gifts. You will learn strategies, tools, and methods you can take with you to begin tomorrow. We will also discuss your specific challenges and brainstorm ideas to help you gain more traction. Attendees will walk away understanding how to: -- Build an effective development structure based on data as the foundation toward securing major gifts. Take away: Understanding your strategy and how to focus on the best outcomes. The how, what, when, where, and why of asking for major gifts. Lindsay Anderson has professional background in social work and over 10 years of experience in direct practice working in health and human services in a variety of contexts. While pursuing her Ph.D. in Organizational Leadership & Policy Development at the University of Minnesota, Lindsay works as a research assistant on an evaluation team at the U of M’s Extension Center for Youth Development. She is focusing on Theory-Driven Evaluation and its application in integrated health settings. In addition, she holds a master’s in social work from St. Catherine’s and a B.S. in social work from Winona State University. Joel Barker is the Managing Partner at Great River Strategies where he provides strategic counsel to nonprofit clients in the area of development, marketing, and strategic planning. Joel is also the co-founder of Brave North Technology, a Minnesota-based technology firm that has worked with over 200 nonprofits to develop technology systems that support their missions. Joel has over 10 years of nonprofit experience, including serving as a VP/CDO for Fraser, a $75 million dollar health care organization, and as a nonprofit consultant where he provided strategic counsel to over 50 nonprofits throughout the Midwest. Joel serves on the board for Missions Inc. and grant review board for Shavlik Family Foundation, and is a frequent speaker at nonprofit events and conferences. Sarah Best is CEO + Chief Strategist of Sarah Best Strategy, a digital marketing agency based in Madison, WI that works nationally with nonprofit organizations. Sarah has won eight awards for her work including best use of a social media platform from Travel + Leisure. Her work has been featured in Mashable, TechCrunch, Crain's Chicago Business, National Geographic Traveler, Chicago Tribune, InBusiness, and other publications. She was tapped to speak at Social Media Week for the MacArthur Foundation, was twice selected for SXSW in 2014 and 2018 in the social impact track, and is a US Travel Association conference speaker. She's an alumni of New York University, a Rotarian, and a board member of several nonprofits. Sydney Franklin is a professional graphic designer and digital marketing specialist for ArcStone. Sydney provides top of the line content creation as well as marketing strategies that help clients enhance their brand, engage users, and achieve further success. Utilizing her enthusiastic and energetic personality, she builds strong relationships with each of her clients. Shelley Janke has been working in the nonprofit world for over 18 years. She has served as the Development Director for the Mabel Tainter Center for the Arts, Executive Director for Main Street of Menomonie, and Executive Director for the Memorial Medical Center Foundation in Neillsville. In 2018 she assumed her role as the Executive Director of the Eau Claire County Humane Association where she is responsible for management of a $700,000 budget, 18 full and part time staff members, and over 400 volunteers. She is an expert at fundraising, board management, budgeting, and overall non-profit operations. She also serves on her local school board as Clerk. Harlie Juedes is a local artist that sells Midwest-inspired nature paintings to local hospitals, organizations, and homes. She also works in branding, graphic design and web design for a local company, which inspires the way she shares how art and creativity can be used in a career and how creative choices affect your audience. Harlie was a part of the first annual Community Supported Arts program, the instruction and development of curriculum for the first and second annual Blugold Beginnings Exploring the Arts summer camps, and has shown her work in galleries such as the Heyde Center for the Arts and the Janet Carson Gallery. Nicholas Longtin creates website and content strategies that work. Videos, infographics, animation, photography, mobile apps, and anything else clients need to build their brand, attract the best talent, raise funds, engage donors, or promote their cause. Nicholas provides end-to-end content creation and marketing that helps organizations stand out from the crowd and showcase what makes them special. Dr. Jean Lubke is the Executive Director of the East Metro Integration District / Equity Alliance MN in the Twin Cities (MN). Dr. Lubke has also held district Curriculum and Instruction Director positions in Eden Prairie, St. Paul, and Rochester, MN districts. She created and led the corporate training and development department for Imation after it was spun off from 3M. Dr. Lubke holds a BS in Elementary Education from Moorhead State University, an MA in Curriculum from the University of Minnesota, and a PhD in Curriculum Systems and Adult Learning from the University of Minnesota. Deb Marshall has 25+ years of HR management experience in both industry and consulting roles, Deb assists Wipfli’s business clients with their ever-changing “people” challenges. She has a very practical approach to addressing HR issues and has problem-solved extensively on employment best practices, compensation system design, executive selection, employee retention, and leadership development. She is also a certified trainer for Crucial Conversations® by VitalSmarts. Paula O’Loughlin is grateful to be with Equity Alliance MN where she has worked for the past 8 years. In her current role as Program Manager, Paula oversees the Classroom Partnership Programming and facilitates professional learning & development to expand cultural responsiveness, intercultural competency and racial consciousness. Paula was privileged to serve on the school board for Stillwater Area Public Schools and remains committed to working toward student-centered, equitable outcomes for each and every student. Paula graduated from St. Catherine’s University with a degree in Elementary Education with a Middle School Mathematics Specialty and is a licensed educator. Renae Oswald-Anderson's career includes nearly 30 years of leadership and management experience in health and human service organizations with expertise in program design, delivery and evaluation, and community collaborations. She possesses broad nonprofit sector and community building experience in both urban and rural settings and has guided many boards of directors through strategic planning, resource development, mergers and realignments, and governance issues. Renae possesses a master’s degree in Nonprofit and Public Administration from Metropolitan State University and is a graduate of the Shannon Leadership. Regina Seabrook is the Program Manager for Professional Development at Equity Alliance MN. She plans, coordinates and provides educational equity focused professional and organizational development in collaborative partnership with school leaders and for a network of schools and districts focused on improved educational outcomes for all students. Ms. Seabrook is a 20 year veteran educator with background experience in culturally responsive curriculum and instruction, after-school program development, Response-to-Intervention systems management, and community partnership development. She earned Bachelor Degrees in Sociology from Hamline University and Social Studies Education from the University of Minnesota-Duluth, a Master’s Degree in Education from Hamline University, and her principal and superintendent credentials from St. Mary’s University of Minnesota. Jules Wilkins works with organizations large and small to help create integrated and highly effective communications and development strategies (in other words, help people like you create fundraising communications that raise more money while wowing your donors -- and your boss!). She writes and consults at JulesWrites.com, and she is the Director of External Relations for COMPAS. Jules is a Certified Fundraising Executive (CFRE), and serves on the board of the Association of Fundraising Professionals, Minnesota Chapter. GROUP DISCOUNT — Register with two or more and pay $75 each. Fee includes materials, handouts, instruction, refreshments, and lunch. Discount will automatically be applied when registering 2 or more people.